DEIMOS Engenharia is responsible for the project coordination (WP1 and WP2), and for the development of the Ground-based Instrument and associated test data acquisition campaigns (WP7). In addition, DEIMOS Engenharia will also contribute actively to the interaction with users and to the assessment of technologies. DEIMOS Engenharia will also be in charge of the coordination of the activities of Dissemination and Future Directions (WP10). DEIMOS Engenharia is a private Portuguese Aerospace Engineering company, part of the DEIMOS group, whose business is focused on space systems design and operational software systems development and validation, in the areas of Satellite Data Processing and Ground Segment Systems, Global Navigation Satellite Systems Technologies, Mission Analysis, Guidance, Navigation and Control. UPC is in charge of two work packages: WP5 Space-borne Instrument: which includes the payload (PYCARO) and platform specifications, software development, assembly, integration and testing, and manage the launch campaing with a suitable broker and run the satellite operations. WP8 Algorithms and Processing: focused on the development of the algorithms to be used to calibrate the GNSS-R observables, and to retrieve geophysical information from them. In order to facilitate the development of the Data Products (WP9), a common set of software tools will be developed to store, visualize, and pre-process GNSS-R observables, including pseudo-ranges (altimetry), geo-located DDMs –with or without delay-Doppler ambiguity, depending on the antenna pointing, geo-located waveforms, or waveform’s peak amplitude. 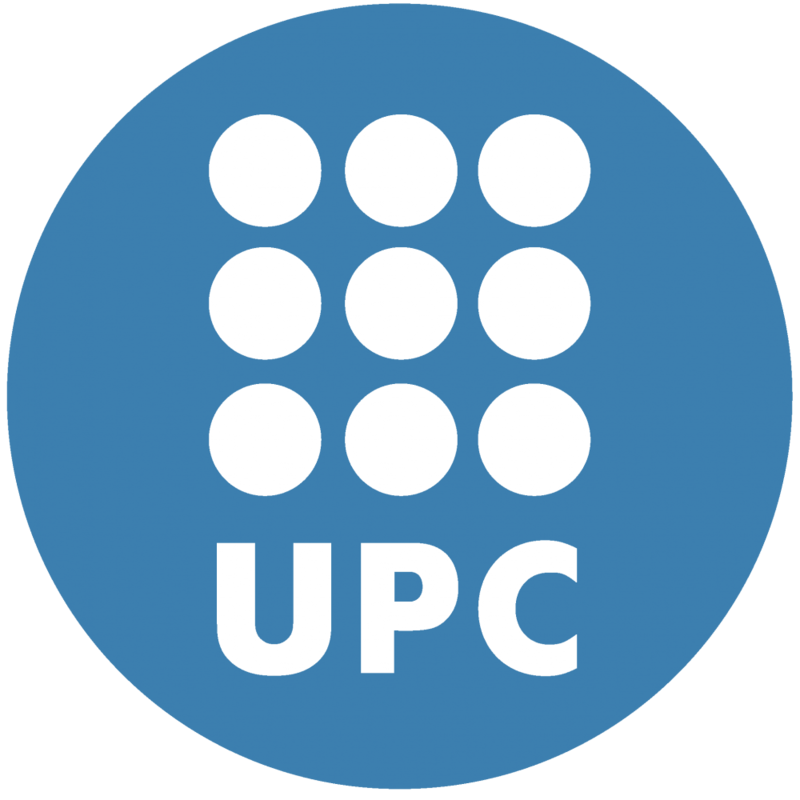 The Universitat Politècnica de Catalunya · BarcelonaTech (UPC) is a public institution dedicated to higher education and research, specialised in the fields of engineering, architecture and science. The Remote Sensing Laboratory (RSLab) at the Department of Signal Theory and Communications is formed, by about 20 permanent staff members, 30 Ph D students, and 40-50 final project (M. Sc.) students every year. The group is oriented to the research in remote sensing including active and passive microwaves, and lidar, hardware and software development, carrying out field experiments and processing the data. In the frame of this project, the main expertises that will be brought are GNSS-R and Microwave Radiometry, thanks to the strong heritage from SMOS. CSIC is responsible for the state of the art review and assessment of technologies (WP4), and for the development of the airborne Instrument and associated test data acquisition campaigns (WP6). CSIC also participates in the development of processing algorithms, and implementation of data products. The Spanish National Research Council (CSIC) is the largest public institution dedicated to research in Spain. Belonging to the Spanish Ministry of Economy and Competitiveness, its main objective is to develop and promote research that will help bring about scientific and technological progress, and it is prepared to collaborate with Spanish and foreign entities in order to achieve this aim. Its multidisciplinary and multisectorial nature means CSIC covers all fields of knowledge, and it is organised around eight scientific-technical areas. The CSIC comprises a network of more than 130 centres and institutes distributed throughout the country. Researchers from the Institute for Space Sciences (ICE-CSIC) participate in E-GEM. IFREMER is an industrial and commercial public body. It operates under the joint auspices of the Ministry of National Education, Research and Technology, the Ministry of Agriculture and Fisheries and the Ministry of Equipment, Transport and Housing. Being involved in all the marine science and technology fields, IFREMER has the capability of solving different problems with an integrated approach. IFREMER scope of actions can be divided into four main areas: understanding, assessing, developing and managing the ocean resources; improving knowledge, protection and restoration methods for marine environment; production and management of equipment of national interest; helping the socio-economic development of the maritime world. Ifremer will be involved in this project through its CERSAT department..
NERSC is coordinating WP9: Data Products, and within other packages, will handle the liaison with cryosphere community (WP3), the identification of data products requirements (WP3), the assessment of technologies for cryosphere monitoring (WP4), and will also develop algorithms and data products for oceanography applications (WP8 and WP9). NERSC will also have an active participation in the dissemination and outreach activities (WP10). NERSC is a non-profit research center affiliated with the University of Bergen, with focus on marine and Arctic climate science. NERSC is a project-based center with major funding from the European Union research programmes, Norwegian Research Council, the European Space Agency, the Norwegian Space Center, industry and other governmental and international agencies. The University of Rome Tor Vergata will participate to WP8 contributing to the development of algorithms for land oriented applications. The sensitivity of GNSS-R signal to Soil moisture and vegetation biomass will be studied in order to retrieve bio-geophysical parameters. Tor Vergata is also involved in the dissemination and outreach activities (WP10). The Earth Observation and Remote Sensing group devises original methods and implements algorithms for exploiting data from Earth observation satellite missions. It has carried out research on optical, hyperspectral and active and passive microwave Earth observation since more than 20 years and has published over 300 papers on refereed international journals, books and conference proceedings. The group has participated in pioneering international experiments and campaigns like, for example, AGRISAR (1986) and AGRISCATT (1987/’88), and it is currently involved, among others, in COSMO-SkyMed and SMOS missions. The group actively cooperates with ESA (both ESRIN and ESTEC establishments) and with many international organizations, and has been granted contracts from the Italian and European Space Agencies and from national and international industries. The main studies that have been carried out and the applications that were developed in microwave remote sensing of the earth surface include: modeling of scattering and emission from terrain covered by vegetation, processing and interpretation of airborne and satellite radar and radiometer data, classification of land surfaces, estimate of agricultural and forest biomass and soil moisture. Most recently, a software able to simulate the GNSS signal reflected from bare and vegetated surfaces has been developed. La Sapienza participates in E-GEM in the evelopment of simulation models, inversion algorithms and validation for Land applications of GNSS-R. In particular model for GNSS signal scattering from bare and vegetated soil and retrieval algorithms to estimate soil moisture in combination with vegetation biomass. The Department of Information Engineering, Electronics and Telecommunications (DIET) of Sapienza University of Rome was recently established after the fusion of the former Department of Electronic Engineering (DIE) and Department of Science and Technique of Information (INFOCOM). The permanent staff is of about 65 researchers and professors, plus administrative and technical personnel, temporary researchers, contractors, and PhD students. DIET carries out research and teaching activities covering many aspects of Information and Communication Technology, such as: electronic circuits and systems; devices and circuits for microwaves and millimetric waves; optoelectronics and laser applications; communication systems, both wired and wireless; information theory, signal and image processing; radar and navigation systems; electromagnetic industrial and medical applications; Earth observation, remote sensing and environmental modelling; antennas and radio propagation; multimedia systems and biotechnologies. As for Earth observation, researches include microwave remote sensing (SAR land applications, radiometry atmospheric applications), electromagnetic modeling and retrieval algorithms. Models available at DIET include emission and scattering by the atmosphere (including rain and ash), scattering from rough surface, emission and scattering from the sea surface. Past experience on inversion schemes include standard regression techniques, as well as Bayesian technique and neural networks. DIET has been involved in GNSS reflectometry (GNSS-R) carrying out projects funded by ESA aiming to investigate potential land applications for soil moisture and vegetation biomass retrieval and developing a simulator to predict the GNSS-R signal over land. 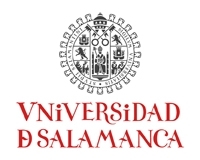 The University of Salamanca will provide a field data frame of soil moisture observations. Thus, it will contribute to WP8 for the development of algorithms for land-oriented applications, as well as to the development of products (WP9) mainly related with soil moisture. The University of Salamanca is also involved in dissemination activities (WP10). The University of Salamanca, founded in 1218, is a medium sized university with over thirty thousand students. Research activity as an extension of all knowledge areas is one of the statutory aims of our University. This research activity is carried out fundamentally in Renowned Research Groups, which have more than one hundred members and belong to all scientific fields. Among them, the Water Resources Research Group is a multidisciplinary team part of the Spanish-Portuguese Centre for Agricultural Research (CIALE), a technological centre of the University of Salamanca. This group is devoted to hydrological and agricultural applications using both field and remote sensing data. Norut will participate in WP6 Airborne Instrument, where we will integrate and fly the GNSS-R receiver developed by UPC in Cryowing Mk.II for testing, data collection, validation and verification. Simultaneously independent validation data will be collected (met, laser altimeter, camera). In WP8 Algorithm and Processing Norut will prepare and quality control the auxillary data and create validation datasets of wave spectra, surface slopes, and radial velocities. Northern Research Institute Tromsø AS (Norut) is an applied research institute within the field of Earth observation science, information technology, social science and biotechnology. Norut has almost 30 years of experience in signal and image processing in applied remote sensing, and has gained international reputation for its contributions to the field. Norut is an ESA Expert Support Laboratory for the Envisat mission, and was the prime contractor for developing the ESA Envisat ASAR Wave Mode Level2 processor. The institute is currently involved in developing the Level 2 processor for the Instrument Processing Facility for the ESA Sentinel-1 mission. The institute is strongly involved in Norwegian Research Council, Norwegian Space Centre, ESA and EU projects. The remote sensing group at Norut comprises 17 researchers of which 15 have a PhD degree. The group conducts environmental and resource monitoring based on satellite remote sensing. Norut has a long lasting experience within the field for remote sensing of the cryosphere using SAR and optical sensors, and have coordinated several EU projects. Norut has also broad experience with remote sensing based mapping of the growing season in northern areas, and has lead several Nordic and national projects within the field. GFZ will participate in three working packages, WP 6 Airborne Instrument, WP 8 Algorithms and Processing and WP 10 Dissemination and future directions with rather small contributions. Nevertheless the project relevant expertise of GFZ is complementary to those of the E-GEM partners and comprises GNSS data analysis experience for the determination of flight trajectories, the analysis of altimetric GNSS reflectometry data and various geophysical applications of GNSS-R.
GFZ assumes the role of National Lab for Geosciences. The interdisciplinary structure combining all Earth Science disciplines, as well as physics, mathematics, chemistry, biology and engineering has been a trademark of GFZ from the start. The project related activities are performed in Department 1 “Geodesy and Remote Sensing”, Section 1.1 GPS/Galileo Earth Observation with strong background in the analysis of ground and space based GNSS data and in geophysical GNSS applications, as, e.g., atmosphere sounding and reflectometry.